As a teenager, I held many dreams–from Olympic skier to singer to actress to writer. One of the many jobs my gypsy soul managed to acquire had me serving popcorn and soft drinks (Would you like a large? It’s only $.25 more and you can take it home with you!) at my local movie theater. A fabulous summer job, I took advantage of the free-for-employee movies as I could. I particularly loved the Saturday night shift. Our cinema stayed open late to host a midnight showing of The Rocky Horror Picture Show. The first time I covered this shift, my eyes popped as I watched one leather-clad cherry kool-aid spiked head enter the theater after another. Some of them, with chains running from nose to ear, from belt loop to back pocket, came in the concession line. Their orders were always as unique as they were. It easily became my favorite shift. The room is packed. People stand in the aisles, but they are one person in their unity. The volume is loud as they talk over each other. Excitement electrifies the air, and I feel it creeping over me. I’m hoisted to the front of the theater by a guy in a green Army jacket covered in patches, his blue mohawk standing proud. “We got a first timer! !” He shouts to the mass. “Virgin! Virgin! Virgin!” They chant as the theater comes alive. Rainbows of silly string shoot into the air as the movie begins. Everyone remains standing. A few take presence on the small stage in front of the screen. The narrator fills the movie screen and the action begins. Every character in the movie has a duplicate mimicking them on the stage. The entire production is played out live before me. The Time Warp takes on new meaning as dancers fill the aisles and join in. As the movie ended and the stage emptied, sadness replaced my excitement. This night could have gone on forever. Never had I experienced this before, and never would it fill me with the same emotions again. After all, you can never repeat your first anything, now can you? 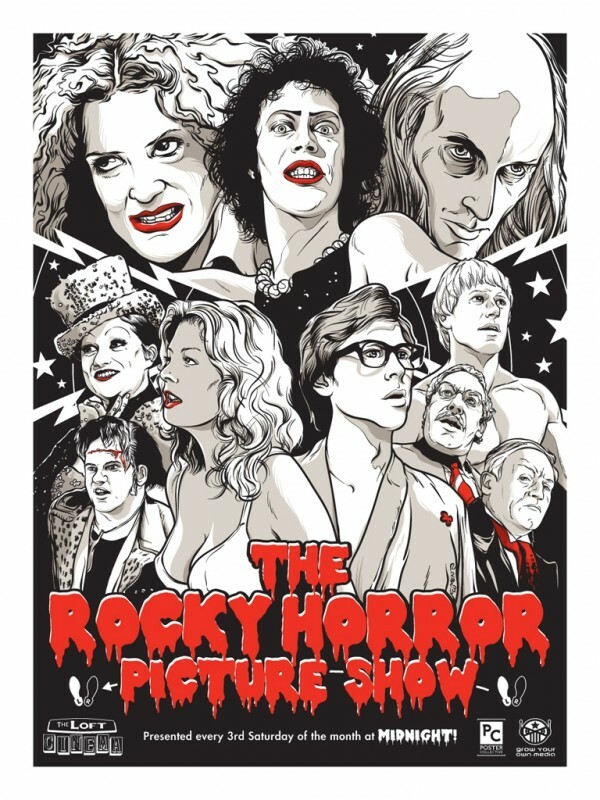 I remember the first time I saw Rocky Horror like that and it was amazing. So glad you shared your memory of it with us. I wish I was young enough to join those kids going next weekend. Its just not the same to watch it on TV, even if it is unedited. JUST GO! It will be so much fun! I would discover a year or so later that one of my future boyfriends attended the midnight showing at my theater. I actually have never seen it. I have always wanted to but never got around to it. I mean, I know enough of from a “pop culture” point of view, but it’s not same. This post makes me really want to find it. I would love to experience it in this context, surrounded by enthusiastic fans. We will have to fix this, stat!